Remember your first RV trip? If you’re like most campers, it was probably one of the best adventures of your lifetime — but there may have been a bit of a learning curve, as well. Whether you ran into a snafu trying to figure out your leveling blocks or forgot to disconnect your sewer hose before leaving camp, more than likely, rookie mistakes were made. Just think about how much easier that first foray into the world of RV camping would have been if you’d had an RV user manual at hand! As an RV owner renting her rig on RVshare, you have the opportunity to make your renters’ introduction to the wonderful world of RV camping that much easier… which is sure to pay dividends when it comes to getting the high user ratings that help you secure even more rental contracts. You can create a welcoming RV user manual to help your renters acclimate — not only to RV camping in general, but to the specific quirks and characteristics of your individual rig. Your renters will feel immediately at ease when they’re greeted by a helpful manual as soon as they walk into your motorhome, perhaps nestled alongside a copy of the latest Rand McNally Road Atlas and a welcome basket of snacks, soaps, and other amenities. But what does your user manual need to include? What’s the best way to create a user manual that’s affordable but still high-quality? Never fear, renters. We’re here to help. So, how do you write a user manual? Well, that part’s relatively simple — you just sit down. open up your laptop, open your favorite word processing software and get to it. We’ll get into specifics about what to include in your RV user guide in the next section, but for now, a more pressing matter (get it?) 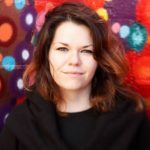 may be at hand: how do you deliver that information to your renters? Unless you’re an author in some other capacity, you may not know the first thing about how to translate your typed words into a bound book. 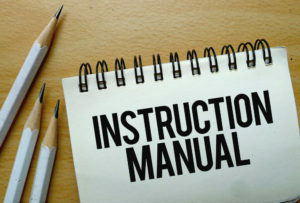 It’s actually really easy to get a bound manual (or any other writing) printed; office supply shops like Staples offer custom bound manuals starting as low as about $5. Of course, your final price will depend on how you customize the product, including the quality of the paper and type of binding you choose. You could also turn to a company that specializes specifically in printing, such as PrintStar. Again, your final price will depend on your custom design as well as how many manuals you have printed. It’s also worth mentioning that a digital guide might be totally appropriate, especially in today’s always-online world. Skipping the creation of a bound product will save you money (not to mention a tree or two), and your renters might find it even more convenient to read your advice on their phone, tablet, or laptop. Now that we’ve got the delivery method out of the way, it’s time to get down to brass tacks. What, exactly, do you need to include in this thing? If you’re totally stumped, you might try looking at the instruction manual you got when you purchased your rig in the first place. Both motorhomes and travel trailers come with owners’ manuals that walk you through every piece of RV equipment, from cassis to coach. 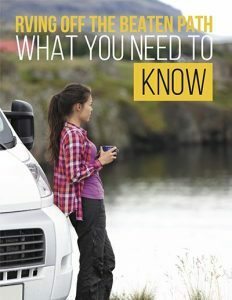 Of course, the RV user guide you create for your renters probably shouldn’t be so extensive — not only because it would be overwhelming and dry for your renters to read through, but also because most of that information is unnecessary for a short rental period. Unless something goes awry, your renters probably won’t have to worry about an in-depth guide to RV tires or covers! To write the best RV guide possible, try to put yourself into the shoes of new renters who’ve never stepped foot inside your RV before. What parts and processes might create the most confusion? 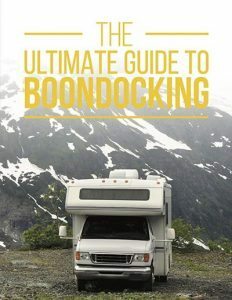 If your renters will be gone for several days or are planning on boondocking, it might be worthwhile to walk them through the tank-dumping and -filling process; you can include a guide to specific parts of your rig, like the RV refrigerator, awning, furnace, or toilet. Include information about where they’ll find important accessories, like extra blankets or outdoor camping furniture. And don’t forget to include a little bit of your RVing history and the rig’s story, which helps make your guide personal, conversational, and fun to read. You could also include helpful hints and suggestions about where campers might go and what to do when they get there, particularly if you know your renters haven’t already created a strict itinerary. Include short descriptions about state parks and other campgrounds you’re familiar with in a hundred-mile radius or so, and if your rental includes any outdoorsy equipment, like a blow-up kayak or paddleboard, be sure to note where your renters might be able to use it. 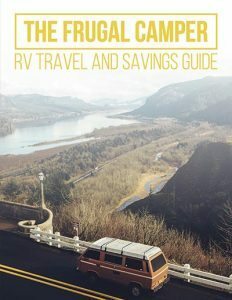 An RV user guide is a great way to help new campers feel comfortable and confident during their first RV trip, which can be a little scary for even the bravest adventurer. After all, an RV is a large vehicle with a lot of complex systems; it may seem simple once you’ve been doing it for a while, but it’s a lot to take in on your first trip! Just like including little touches like scented candles, decorative throw pillows, and extra cozy blankets, an RV user manual is a great way to help your renters feel comfortable and at-home during the rental period. Finding a user guide can help your renters feel like their needs have been anticipated and met — even the needs they didn’t know they’d encounter when they first signed the rental agreement. And nothing makes for a happier camper than feeling well taken-care of… except maybe some s’mores, of course!